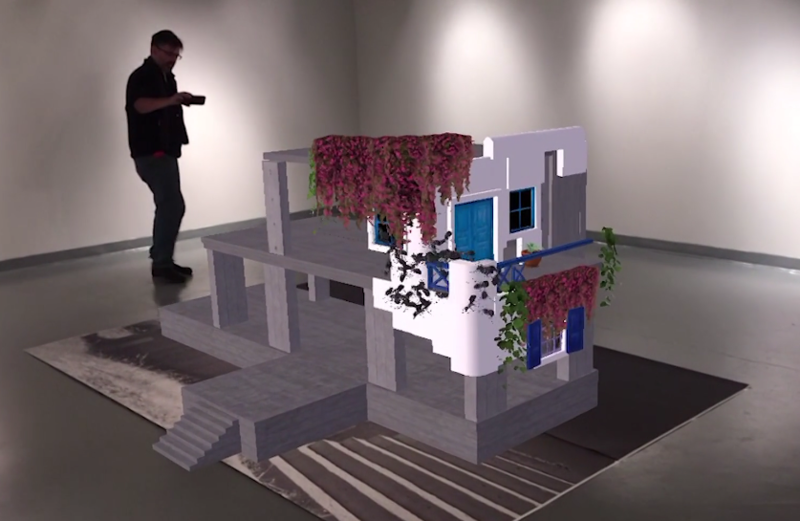 "Dream House" is a robust photographic, augmented reality artwork in multiple formats that captures key elements of the viewer experience and proves it could be a compelling one. Exploring the outside of the house feels fluid: the user interacts with the artificial intelligent creatures as they swarm around. It feels responsive, and the experince works well across different mobile platforms.